One of Philippines most colorful festival in the air is back, the venue for giant balloons in the sky once again ignite our senses this coming summer in a new grounds with new team handling the festivity complete with activities from sunrise up to moon rise above. 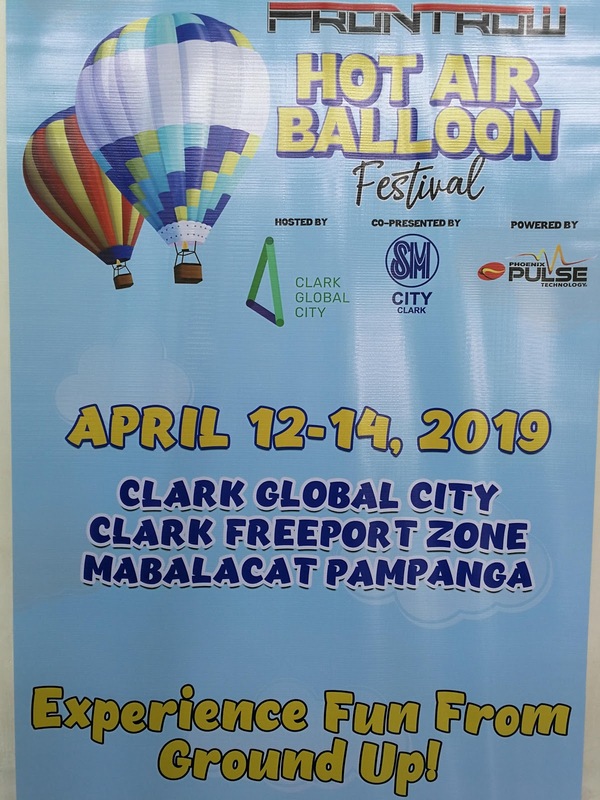 The Frontrow International Hot Air Balloon Festival 2019 is hosted for the first time by Clark Global City, together with SM City Clark, powered by Phoenix Pulse Technology along with Dickies and Clark Medical City is scheduled starting April 12 up to 14. 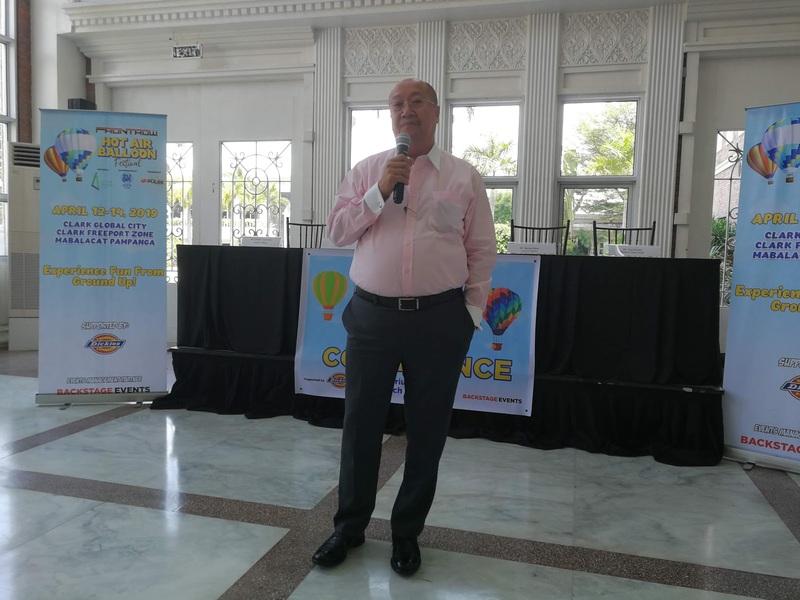 Wilfredo Placino, Vice Chairman and President of Global Gateway Development Corporation explain that they take over in this year’s festival after the main organizers aim to not pursue it this year, it was usually scheduled every February or March of the year, but this time summer is its new dates to mark on the calendars. “The Hot Air Balloon festival all started after the Mt. Pinatubo eruption incidents, the local Kapampangan around Clark want to have some activities on how to bring back Clark for Pampanga after this incidents, they started the first Hot Air Balloon festival in the parade grounds inside Clark, this was in January 1994, so that was the start and the rest is history that grow into a major attractions of Clark and Pampanga.” Placino said during its blog conference last March 14, 2019 at Enderun College in Mckinley Hill, Taguig City. 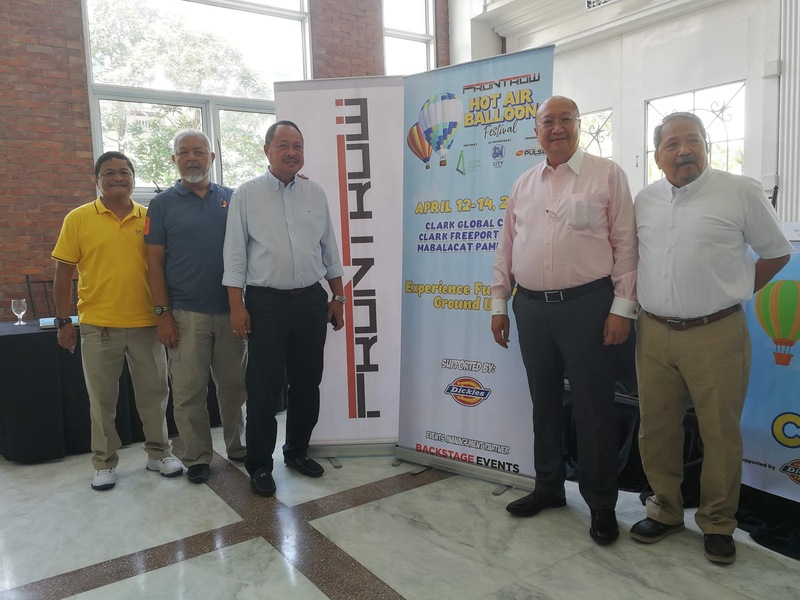 Traffic is the first question thrown to the organizers, commuting will be a problem as well as to those who will bring in their cars and family to this weeklong festivity, as per Placino they already see that coming and his estate, the Clark Global City is very much prepared to counter that issues, they have big and wide open spaces reserves for commuters and cars, he inform us that there will be a Point-to-Point buses in three areas in Metro Manila that will bring in people, one station in NAIA Terminal, Galleria and Trinoma Mall. In terms of garbage that this event will cause for the environment, he assured the public that CGC is a green City and they have efficient garbage disposal system that will handle all the waste and garbage day after day of festival. This year’s festival is very much different compare to the previous years, Placino said that its not only the balloons they are showcasing this time, they have nightly concert that start at 5pm and ends at 10 in the evening, big names in OPM bands are set to perform in their stage along with Kapampangan best bands. Below are the schedules and performers. Car and motorsport enthusiasts will gather together for inclusion in this year’s schedule of Hot Air Balloon Festival, this events are the National Drift Championship, Slalom Racing, Philippine Auto Cross Championship Series, Philippine Rally Cross Series and Suzuki Motorcycle Philippines Stunt Show. For the balloon events, expect a 12 participating countries this time for a total of 20 plus a night glow appearance of this when sun is gone, five of that 20 balloons are special and first time to be seen in any balloon show, one of that is a giant Elvis Presley balloon and a giant Pic in relation to the Chinese year for 2019. “So we at Clark Global City decided to bring this offering back to the public, that’s why for this year we are hosting and we look forward to hosting it the next couple more years while our City is not yet fully build up.” Placino said in closing.